In the aviation industry, steel airplane hangars are unanimously the standard for aircraft storage, and for good reason. Aircraft equipment is a significant investment, and ensuring that it is stored securely and sheltered from potential damage – particularly from environmental elements – is just as important for longevity as is regular maintenance. To this end, steel airplane hangars provide the perfect solution. Durable, strong and secure, they prove ideal for housing aircraft of all types, shapes and sizes, and can even capacitate the necessary maintenance equipment, all in one central location. Given the sheer variety of aircraft types, a one-size-fits-all approach to storage isn’t possible. Depending on the type (or types) of airplane you possess, the size of the structure you will need to house them can vary significantly. With steel airplane hangars, this isn’t an issue. 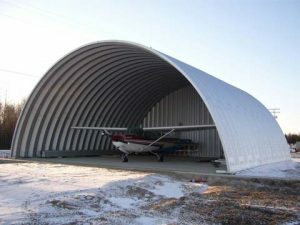 Steel buildings are custom made-to-order and offered in a vast range of sizes, meaning that regardless of the size or shape of your aircraft, you can find a storage solution that suits your needs. 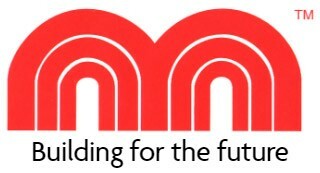 Building regulation, coding and permitting differ from location to location, and this often limits capabilities to erect structures capable of storing aircraft. Opting for a steel airplane hangar allows you to invest in a building that is custom-made to meet all measurements and specifications, meaning that you can order a structure that is engineered to meet the building codes for your location, regardless of what they may entail. Not only can steel airplane hangars be built to meet size demands, but they also use space more efficiently than any other type of structure. Different designs, such as an arched roof, allow for space to be maximized with additions such as lofts and other compartments. This means that not only can you store your aircraft securely, but you can also store maintenance equipment and other machinery required to ensure it operates correctly. A steel airplane hangar is built to be tough and long-lasting. Made with strong, premium quality materials, opting for a steel building for your aircraft storage needs will ensure the longevity of the aircraft you store and also maximize the value of your investment in a storage structure. And with zero maintenance required, you can focus on keeping your aircraft fine-tuned instead of worrying about the integrity of the building you use to house it. When it comes to storing aircraft, investing in a steel airplane hangar is simply a smart move. 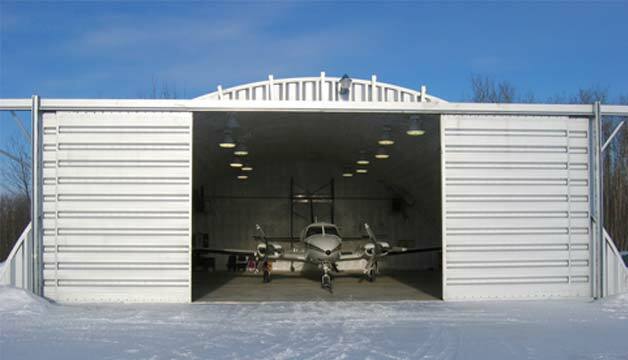 A combination of protection, strength and durability, and the ability to accommodate specific structural and dimensional needs make steel aircraft hangars the ideal solution for storing aircraft equipment. 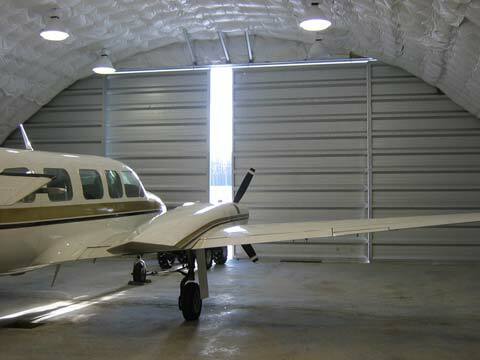 If you want a reliable method for ensuring the longevity of your aircraft, opting for a steel airplane hangar is the way to go.